Blueberries are bursting with healthful properties that help improve bone and skin health. In fact one cup of blueberries provides 24% of a person’s recommended daily allowance of vitamin C. Which makes you feel a little less guilty about snacking on a sweet treat like these One Bowl Lemon Blueberry Muffins! This recipe is an adaptation of the sweet muffins in my trusty Betty Crocker cookbook. Time has tattered the poor thing to the point where you need big rubber bands to keep it together. I am a self-admitted novice baker so it is my go-to for basic baking recipes. One bowl means easy to clean up too! Plenty of fresh squeezed lemon juice is really what sets this muffin recipe apart though. I advocate using kitchen shortcuts where possible, but please take the time to squeeze those lemons. Stuff out of a bottle just doesn’t compare! Lemon in not only in the muffins. The glaze on top is a simple mix of confectioners or powdered sugar and lemon juice as well. 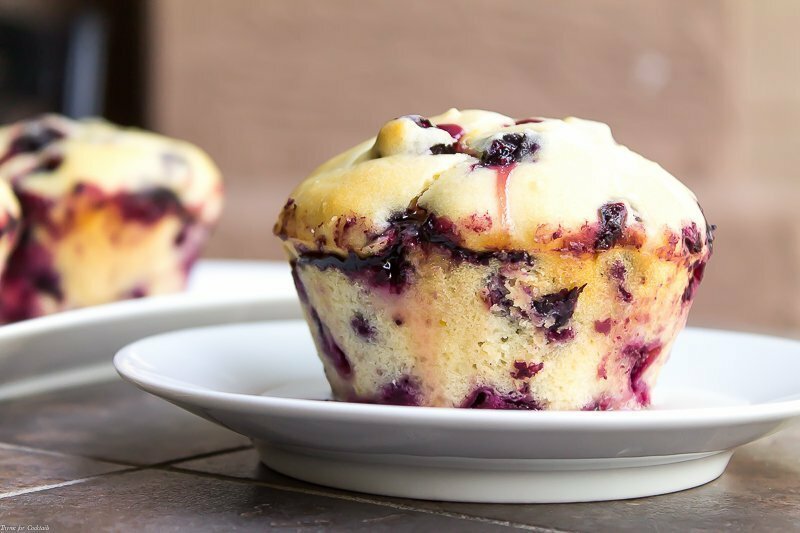 It really amps up the sweet and tangy flavors of these One Bowl Lemon Blueberry Muffins! If you are a blueberry lover then be sure to check out this all natural Blueberry Mojito Sugar Scrub packed with healthy antioxidants! 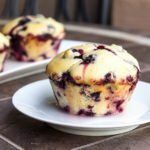 I hope you like this One Bowl Lemon Blueberry Muffins recipe as much as my crew does. If you love this simple 10-ingredient recipe, you can find more like it by checking out my Dessert section! For daily recipe inspiration, subscribe to my newsletter, follow me on Instagram, and for generally inappropriate humor follow like me on Facebook! Heat oven to 400°F. Spray muffin tin with non-stick spray, set aside. In a large bowl whisk together egg, milk, 1/4 cup lemon juice, sugar, and cooled melted butter. Mix in flour, baking powder, and salt until just combined. Fold in blueberries. 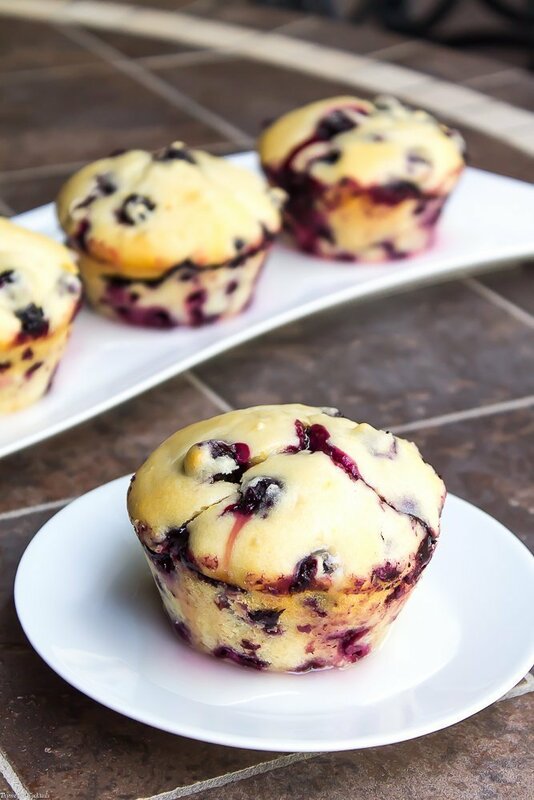 Evenly divide batter into muffin cups. Bake 20-25 minutes. Let cool 5 minutes before removing from muffin tin. Place on a baking rack set over a baking sheet. Add confectioner's sugar to a medium bowl. Stir in lemon juice 1 tablespoon at a time to create glaze. Adjust amount of juice based on desired consistency. Drizzle muffins with glaze while still warm. 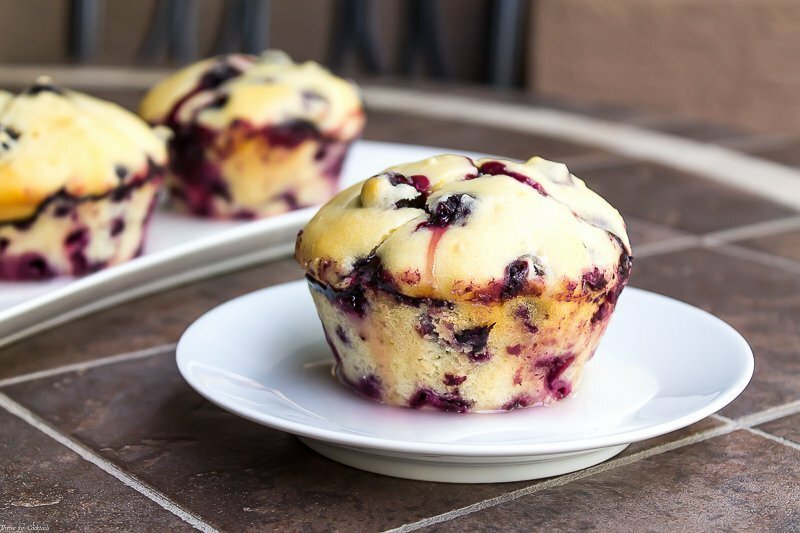 Blueberry and lemon is a perfect combination – these muffins look so good, pinned! Thanks Debra! They are really yummy! Blood oranges are so luscious! Looks delicious! Is it 1/4 cup of lemon juice or juice from 1/4 of a lemon? It is a 1/2 cup! Thanks for stoping by. Teresa, it is a 1/4 cup lemon juice. I updated the recipe card. Thanks for catching that typo! Annamaria, thank you so much for catching my typo! I am so sorry they didn’t turn out correctly. I have updated the directions to include the missing step.